- 16 video channels with up to 320 (model A)/480 (model B) frames per second. - Support 4 (model A)/16 (model B) audio channels. 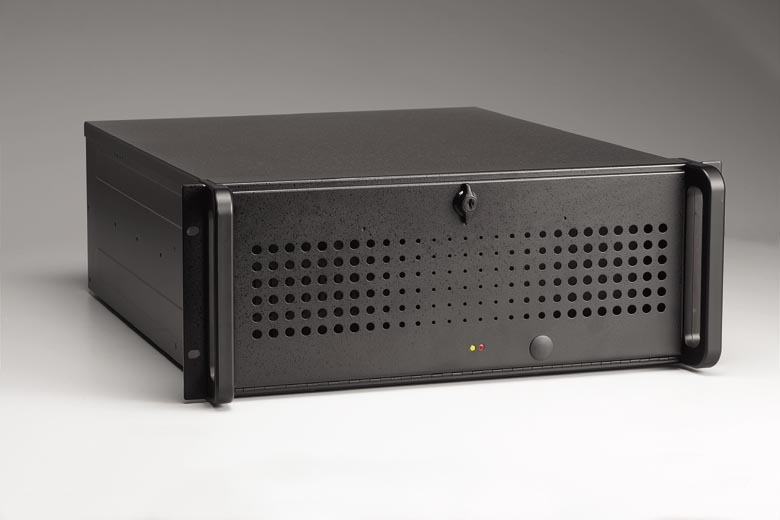 - 4U rack-mount form factor design with industrial grade reliability. - Model A with software SMICT compression algorithm; recording 20 fps/channel, provide more compact solution for a long time recording. - Model B with hardware MPEG-4 compression on-chip; recording 30 fps/channel, provide real-time video quality in all modes. - Multitask capability supports recording, playback, and monitoring at the same time. - Provide full alarm function with Email and Emap Features:. - Watchdog function to support auto-restart. - Remote monitoring through TCP/IP network.